with daytime hours. Effective till the position is filled. Approximately 60,000 young children are brought to Emergency Departments each year because they got into medicine when an adult wasn’t looking or because they were given the wrong dose by mistake. This National Safety Month and always, healthcare providers, parents and caregivers of young children should prioritize safe medication use and storage – which is key to preventing unintentional medication overdoses. “Dosing errors (when a parent or other caregiver gives too much or too little medicine) are the type of medication error that most often brings children into the Emergency Department,” says Dr. Shonna Yin, an Associate Professor of Pediatrics and Population Health at the NYU School of Medicine. 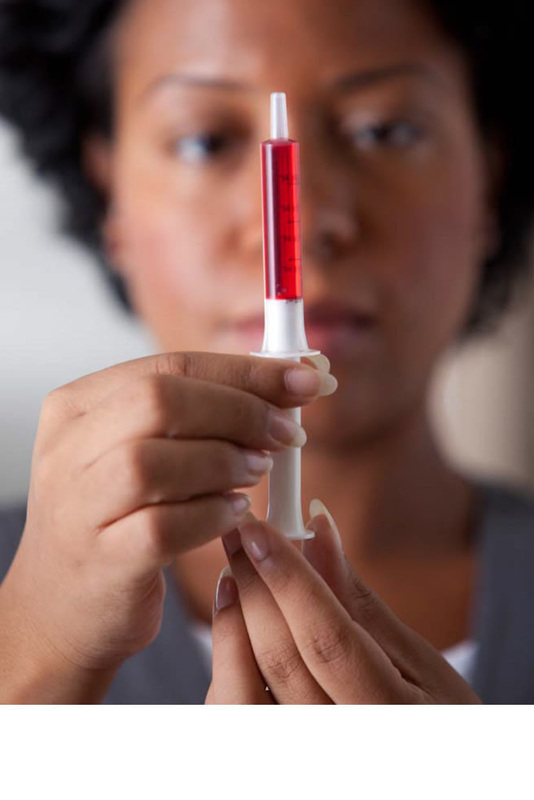 To help prevent dosing errors, medical professional organizations recommend that clinicians use only milliliter (“mL”) units when prescribing liquid medications, and use mL-only when talking with families about dosing instructions. To learn more about safe dosing, read this Safe Healthcare Blog post from Dr. Yin: https://go.usa.gov/xQF3a. Parents and other caregivers can help prevent errors by using the dosing device (e.g., oral syringe, dosing cup) that comes with their child’s medicine. It’s also important to remember to relock safety caps and to return medicines to a safe storage location that is up and away out of sight and reach of young children after each and every use. Find more tips here:https://go.usa.gov/xUrYF. The Iowa Smokefree Air Act turns 10 years old July 1, 2018. Iowa is one of 25 states that have enacted comprehensive smoke-free laws addressing secondhand smoke exposure in workplaces, restaurants and bars. For more information about the Smoke Free Air Act, including frequently asked questions about the law, visit https://smokefreeair.iowa.gov/. To access the Smoke Free Homes Registry, go to https://smokefreehomes.iowa.gov/ and if you are ready to quit tobacco, call Quitline Iowa at 1-800-QUIT-NOW (1-800-784-8669), or visit www.quitlineiowa.org. Registration specialists and Quit Coaches® are available 24 hours a day. With temperatures expected to rise near or above 90 degrees beginning today and lasting through the Memorial Day holiday weekend, the Iowa Department of Public Health (IDPH) reminds Iowans to keep health in mind during the hot weather. Increase fluid intake, regardless of your activity level. The best way to tell you are well-hydrated is if your urine is light yellow. If it gets dark, stop and rehydrate by drinking water immediately. If experiencing a lot of sweating, replace salt and minerals by eating foods like bananas and salty crackers, or drink rehydrating beverages that contain salts such as sports drinks and special rehydration fluids. Wear hats that shade your face such as sun hats, visors, etc. Work slowly if you are not used to working or exercising in heat and humidity. Stop immediately if you get dizzy, nauseated or feel weak. Go into an air conditioned space and drink cool liquids. Use a buddy system. Watch others for heat-induced illness, since some people may not realize that they are suffering heat-related illnesses and can become confused or lose consciousness. S – Sunscreen. Put on sunscreen with a sun protective factor (SPF) of 15 or higher and reapply throughout the day, especially if swimming or sweating. H – Heat safety. Drink lots of water and other non-alcoholic, sugar-free fluids; wear lightweight, loose-fitting clothing when outdoors, especially when active; and when temperatures soar, stay in the shade or air conditioning as much as possible. A – Animal contact. Remember to wash your hands after touching animals at places like petting zoos or county fairs. Avoid stray and wild animals; they may carry diseases like rabies. D – DEET. To prevent being bitten by ticks and mosquitoes that can carry diseases like Lyme disease and West Nile virus, use insect repellent with DEET (follow the label directions when using, especially on children). E – Eating outdoors. Grill all meats until thoroughly cooked and always keep cold foods cold and hot foods hot. For more information about preventing hot weather health, visit http://www.cdc.gov/Features/ExtremeHeat/. As uninsured Iowans become enrolled in new health plan options available through the Iowa Health and Wellness Plan (IHAWP) and the Marketplace, IDPH anticipates that some healthcare services the Department has historically funded may become covered benefits under new plans, changing the demand for IDPH-funded services.IDPH contracted with the Milliman actuarial firm to better understand the impact of state-level healthcare reform on certain IDPH programs and healthcare services. While the exact impacts of the ACA remain complex and difficult to predict, this ACA Impact Study represents an initial step in understanding the multiple complex considerations IDPH has identified related to the direct healthcare services the Department has historically funded, and will help IDPH quantify likely changes in the demand for its services and related program and funding implications. A summary of the Milliman study will be posted to the IDPH web page soon. The Title V Needs Assessment Prioritization Survey is now open for public input and will close December 8th. To ensure a comprehensive assessment of the Maternal and Child Health (MCH) population needs, we are soliciting input from a wide variety of stakeholders. A survey link will be emailed to stakeholders this week. Participants will be provided with links to Data Detail Sheets to assist in learning about each topic area and the needs statements. Each need statement will be ranked using six criteria selected by the needs assessment team. Results of the prioritization survey will be used to direct the MCH and Child Health Specialty Clinic (CHSC) programs for the next five-year project period. The Iowa Department of Public Health’s Iowa Get Screened: Colorectal Cancer program, the American Cancer Society, and the Iowa Cancer Consortium have launched a free online training to teach providers and healthcare professionals how to engage their entire staff, implement policy and system changes, utilize a continuous improvement model to measure practice progress, and receive useful tools and resources to help increase cancer screening rates in busy practices. This training uses interactive, audiovisual demonstrations to show providers how they can engage their entire staff to identify appropriate patients, provide recommended screenings and encourage timely follow-up for recommended cancer screenings. The IDPH Ryan White Part B program kicked off its formal Quality Management Program by hosting the first quality management team meeting. The team will meet quarterly, and will examine performance measures and continuous quality improvement activities for the Ryan White Part B program. All Title V contractors with a school-based dental sealant program will now use the same data recording system to submit standardized data to the IDPH Bureau of Oral and Health Delivery Systems (Oral Health Center).This system was initially developed for sealant contractors in order to allow IDPH to have consistent reporting of the program results, oral health status, and other indicators. The data recording system has been fine-tuned and by extending it to the additional programs, it will provide a more comprehensive, statewide review about the program benefit and the oral health of Iowa schoolchildren. Gloria Vermie, director of the Iowa State Office of Rural Health, has received the Distinguished Andrew W. Nichols Awardfrom the National Organization of State Offices of Rural Health (NOSORH), given each year to an individual who has made a significant contribution to NOSORH. Binnie LeHew of the IDPH Sexual Violence Prevention program has begun a one-year term as President-Elect of the Safe States Alliance, representing injury and violence prevention professionals. IDPH Communications Director Polly Carver-Kimm has been elected Vice-President of the National Public Health Information Coalition. She was also re-elected as Region 7 Director. IDPH and Iowa State University Extension and Outreach have received the Iowa Chapter of the American Planning Association’s (APA) award for the I-WALK program. I-WALK has helped more than 30 Iowa communities assess their walkability infrastructure with the ultimate goal of initiating improvements. IDPH Office of Minority and Multicultural Health Advisory Council Member Lou Ellen Brown has received the Karen Packer Award from the Iowa Cancer Consortium. To get Quick Reads directly in your inbox, please send a blank e-mail to join-quick_reads@lists.ia.gov. To contribute a news item or smart practice, please write to Polly Carver-Kimm at Polly.Carver-Kimm@idph.iowa.gov. Give Chickasaw County Public Health and Home Care Services a call at 641-394-4053 to double check with us.